Gorumara National Park is situated on the bank of rivers Gorumara, Lataguri and Raidak in the terai region of Dooars on the foothills of Eastern Himalayas. Gorumara is famous for its Asiatic one horned Rhino, Asian Elephants, Bisons, Peacocks. This was a reserve forest since 1895. In the year 1949, the park was declared as Wildlife Sanctuary for its breeding population of one horned Indian Rhinoceros. On January 31, 1994, it was declared as a National Park. The 80 sq. km area of the Gorumara National Park is famous for its rich variety of flora & fauna. The park is located in the Malbazar subdivision of Jalpaiguri district, in the state of West Bengal in India. The Gorumara, Lataguri, Jaldhaka, and Indong rivers flow through the Park on the foothills of the Himalayan ranges in the North making the whole region picturesque. The park offers breathtaking landscape with its rivers and mountain ranges. Lataguri a small town adjacent to the park is the entry point. Day 1 - Arrivet NJP railhead / Bagdogra airport. Take a cab to Mongpong (35 kms. ), a quiet place on the bank of river Teesta. The forest Rest House at Mongpong offers a panoramic view of Mahananda Wild Life Sanctuary. Enjoy your break at Mongpong, watching colourful birds. A refreshing drive through the tea gardens and forests will take you to Lataguri (55kms. from Mongpong). Lataguri is a small Dooars town close to Gorumara National Park. Overnight stay at Lataguri. Gorumara National Park can be best approached from Lataguri, Though the best place to stay nearby is Gorumara, Lataguri, which is 8 kms away, a mere 15 minutes drive, and one of the entry gate i.e. the Jatraprasad falls nearby Gorumara, Lataguri itself, though the main Gorumara Gate is located at Lataguri. Lataguri is 14 Kms from Chalsa, 52 Kms from Jalpaiguri and 69 Kms from Siliguri. Watchtowers – The forest department has built several watchtowers inside and along the edges of the forests. These watchtowers are the best places to observe wildlife in their natural environment. The best way to watch wildlife at the park is to use powerful binoculars with night vision facilities at night, from the numerous well-located watchtowers at the park. In Gorumara Natinal Park there are 4 Watch towers namely Jatraprasad Watch Tower (named in the memory of a Kunki Elephant), Rhino Point (in front of the Gorumara Forest Rest House), Chandrachur Tower (Old Khunia) and the Chukchuki bird watching point which are located at various points to provide excellent view of wildlife in the park. The watchtower beside the Forest Rest House gives a panoramic view of the entire park and the Gorumara, Lataguri Valley. The elephant and jeep safaris are available at Gorumara National Park to explore the beauty of the wild nature. Green Lagoon Resort, Lataguri is located just beside Gorumara National Park. Green Lagoon Hotel & Resort is ideal place to celebrate your special occasions like Private Party, Wedding Reception or Official Banquete. Aranya, the Gorumara Jungle Resort at Lataguri, the oldest in the area with 10 cottages with all modern amenities and excellent surroundings is one of the best option during your stay at Lataguri. Green Touch Dooars Eco Resort at Lataguri in Jalpaiguri district of North Bengal, one of the Northern districts of West Bengal. 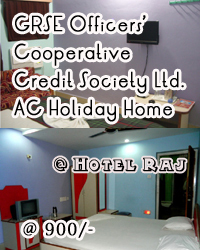 It is almost 90 km from Bagdogra Airport, 80 km from NJP or Siliguri. Child below 5yrs - free.